When Lyddie takes her sister to Devon to recover after a recent suicide attempt, it starts a train of events that will put their lives in grave danger. Ellie has been the victim of a professional con artist, one who stole her savings, then disappeared from her life. 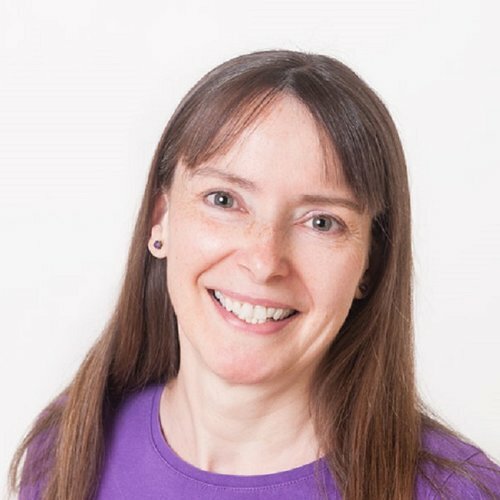 Driven by her own history of failed relationships, Lyddie vows revenge on the man who broke her sister’s heart. Soon she assumes a false identity and begins her hunt for a man she knows to be cold, calculating and ruthless. But who is fooling whom? 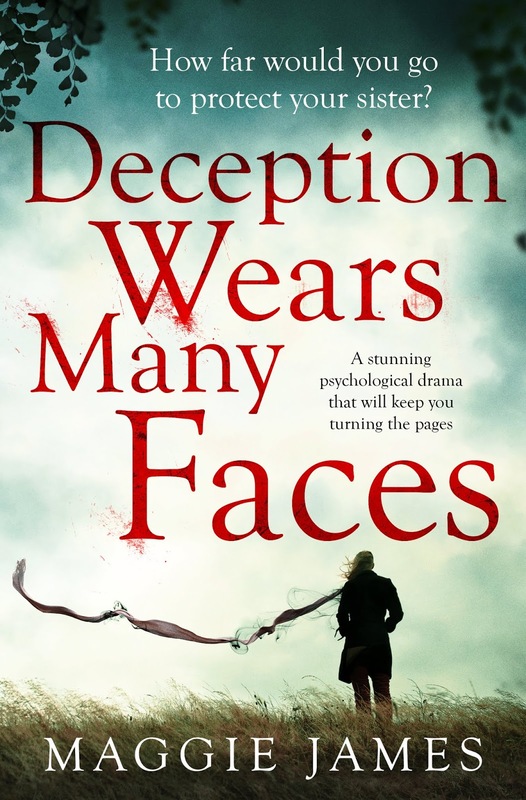 And can Lyddie find the justice she seeks and heal her damaged sister? I thought I had this one all worked out...then I didn't...then I did again...then I didn't...but such is the amazing talent of Maggie James to drop in more red herrings than the fish quay at North Shields. So I gave up trying to work it out, and just went along for the ride! Ellie and Lyddie are really close sisters, more so after Ellie attempted suicide on multiple occasions. Lyddie is understandably overprotective of Ellie so when Ellie is duped by a con-artist into giving him all of her inheritance, Lyddie vows revenge. Lyddie sets up a fake profile on some dating websites to lure the con-man into her web so she can get her revenge but he always seems to be one step ahead of her... Then Lyddie unexpectedly finds the man of her dreams but she worries that she will lose him when she comes clean about her fake dating profile. Lyddie might just have to choose between finding love for herself or getting revenge for her sister. I loved how Maggie James so cleverly led me in one direction then blindfolded me, spun me around and sent me back to square one. I also think it's good to remind people about the dangerous predators lurking online. I've dabbled in online dating in the past but I can't bear dishonesty and there's always that fear that the person you are corresponding with is somebody else entirely. I'm sure that there are some honest people out there but I've never found one in the world of online dating. Ellie's mental health is also a big part of the story and very topical at the moment as we are encouraged to be aware of mental health. I did feel that Lyddie mollycoddled her a bit and I wondered what Ellie's failed suicide attempts were really all about when she clearly has a family who love her. Maggie James is never one for leaving loose ends so all of this becomes clear as the story progresses and it's all beautifully wrapped up in a big bow at the end. 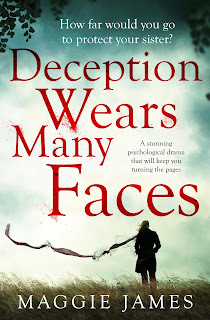 Deception Wears Many Faces is a fabulously entertaining, gripping and totally addictive book from the dark and twisty mind of the wonderful Maggie James. 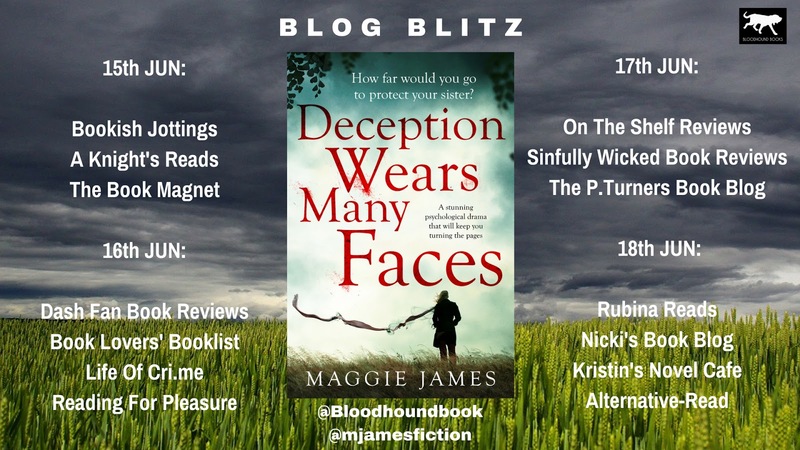 It's definitely a read-in-a-day kind of book as I couldn't bear to put it down once I'd picked it up; Maggie James has this amazing ability to tie your brain in knots so you know you're going to get a top-notch thrilling read when you pick up one of her books. There's a bit of a pattern forming here on The Book Magnet as Maggie James scoops another huge 5 stars from me.